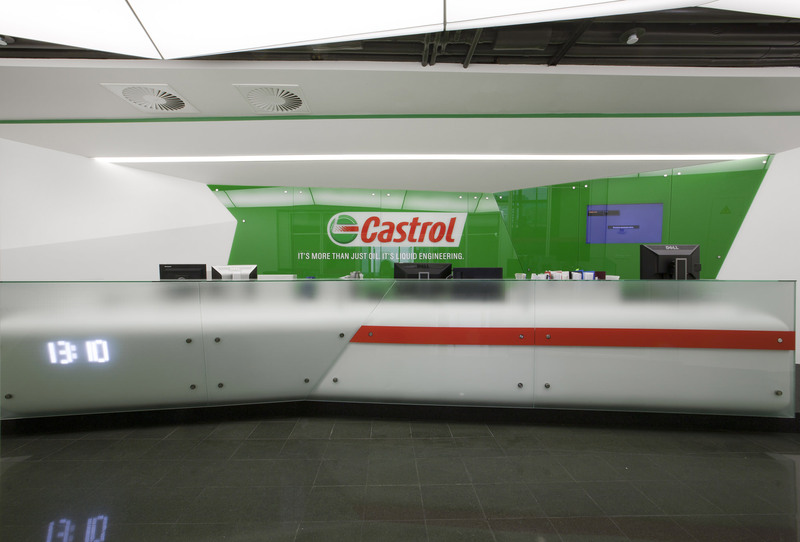 British company Castrol, a part of BP group of companies, is a leading manufacturer of engine oils. 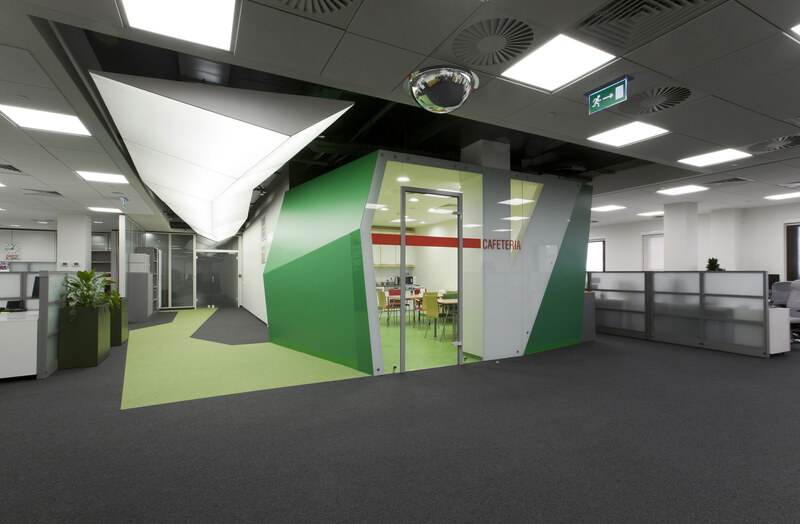 Nevertheless its famous strict corporate style, it was definitely expressive and bright decisions of za bor bureau that were chosen for the project of expansion and renovation of its Moscow office. 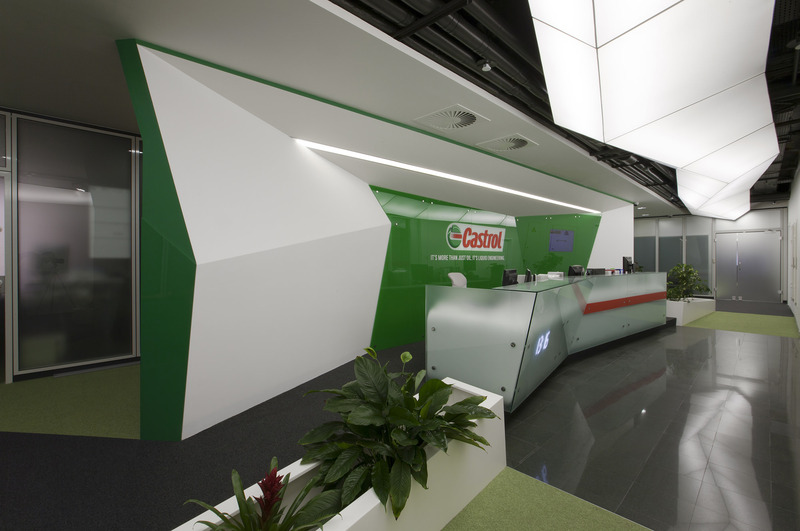 Architects managed to implement the famous Castrol slogan «It’s more than just oil. 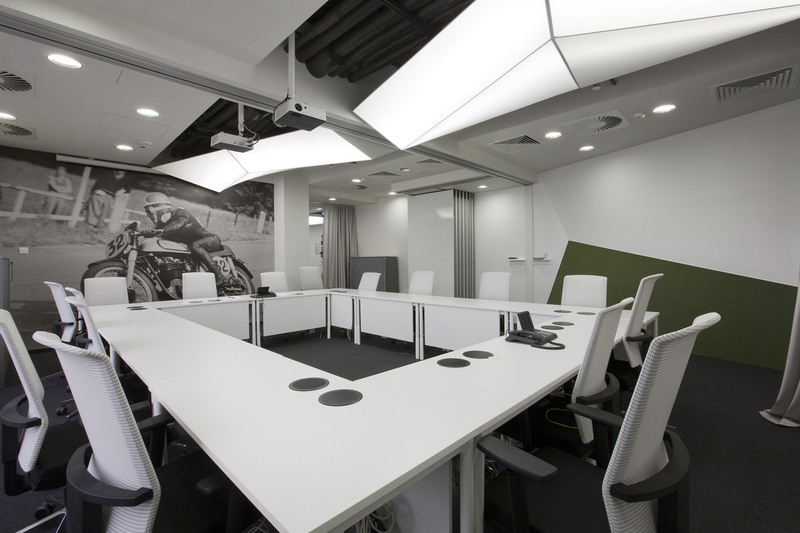 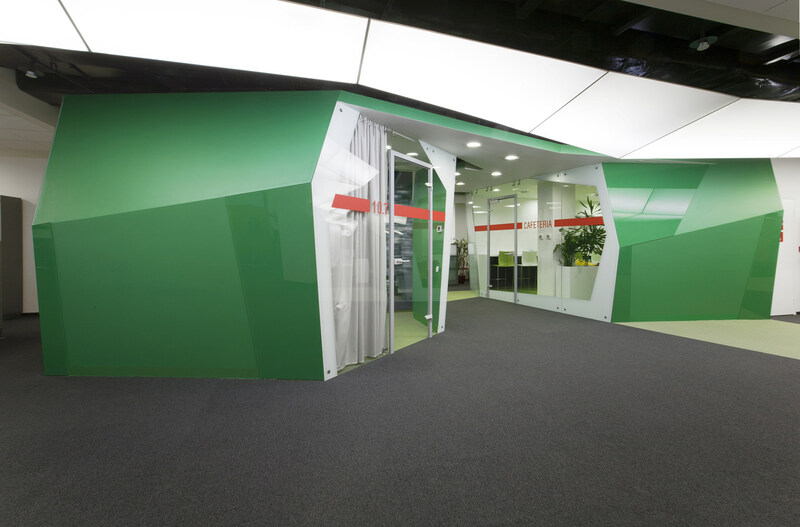 It’s liquid engineering» into the office spaces. 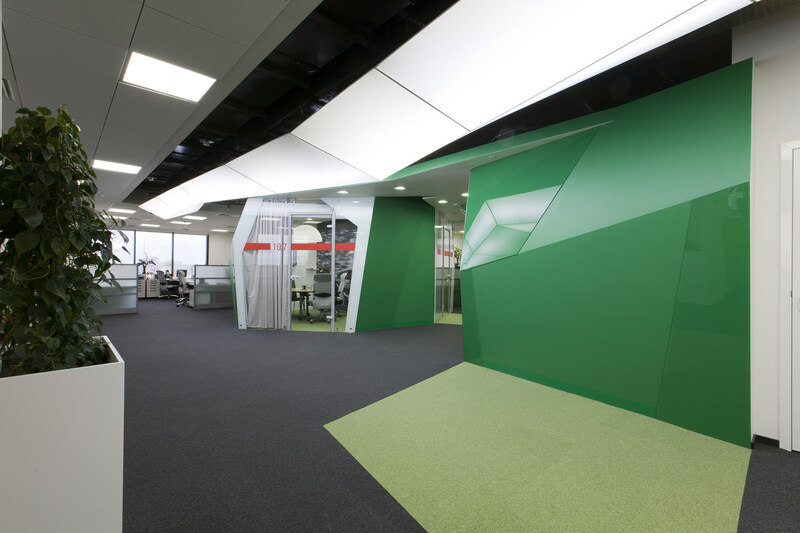 Renewed open-spaces are filled with dynamic bright objects — curved volumes of meeting rooms and cafeterias. 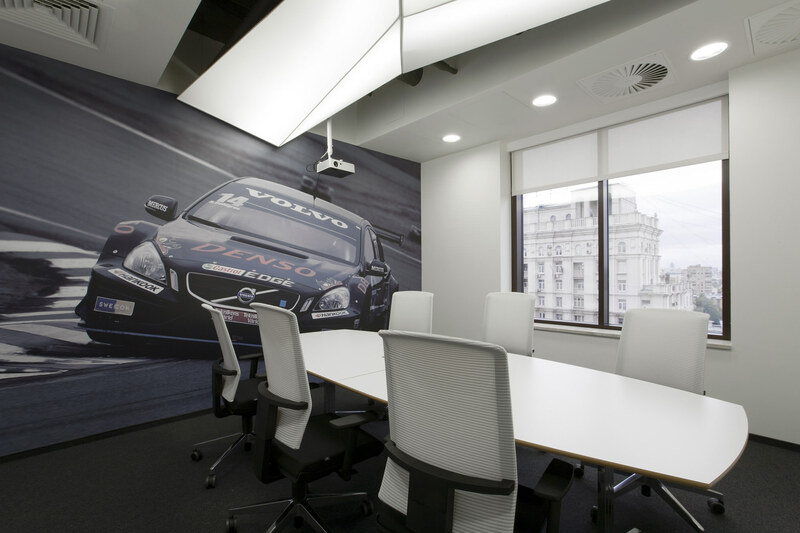 In the main corridors and several conference rooms you may see original sectional lamps developed by za bor. 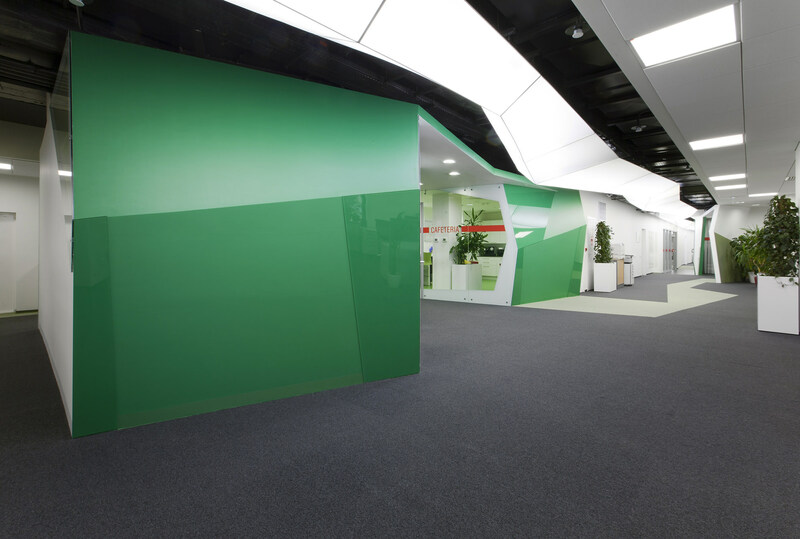 Total length of these sections is more than 100 meters.